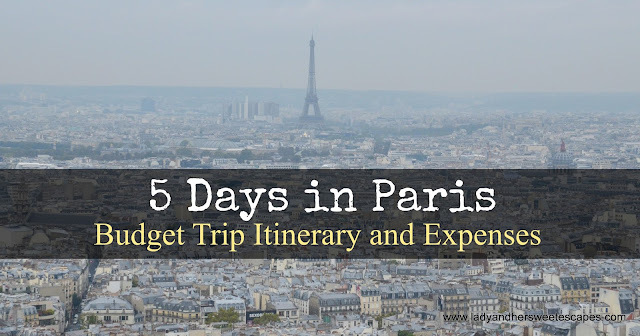 Paris on a Budget sounds impossible that I, myself, was shocked when I laid out all the possible itinerary and expenses to my husband. We were both in disbelief when we realized that traveling to one of the most romantic cities in the world could only cost a little more than our expenses in the Golden Triangle of India! Yeah, I know I have been talking about this budget trip for quite awhile now and a lot have been waiting for me to spill the beans. So, here we go! How much can one budget traveler spend for a 5-day trip to Paris? Roughly 3,500 AED or even less! For our 5-day anniversary trip to Paris, Ed and I had a total spending of more or less 7,000 AED, all-in! A huge chunk of the travel budget went to the air tickets, next to the food, then the accommodation. Hence, if you get the chance to stumble upon a seat sale, if you can survive Paris without being tempted to indulge in a lavish French meal, and if you are cool with sleeping in a dorm-type accommodation, you will surely spend lesser than we did! We got our Travel Easy Elite 1 week insurance plan from Oman Insurance through a travel agency. We flew from DXB to CDG via Gulf Air; one of the cheapest flights with the shortest lay-over during our travel date. We stayed in Paris 17 Clichy-Batignolles, a sleek budget hotel in the 17th arrondissement. Read: Where to stay in Paris? We explored Paris by train. From the airport to the city and back, we took the RER B (10 EUR one-way). And while in the city, we purchased metro tickets in bulk to save 20%. One ticket costs 1.80 EUR, whereas a Carnet - a set of 10 metro tickets - only costs 14.10 EUR. Paris is a foodie destination; hence it's no surprise that we spent a lot on food during the trip. A basic meal (croissant with coffee, or croque monsieur with a drink) costs less than 10 EUR. Lunch set meals typically cost 15 to 20 EUR each. Dinner in mid-range restaurants like the famous Le Relais de l'Entrecote costs 30 EUR. For a fine French dinner, the husband took me to La Fermette Marbeuf where a 5-course meal cost him 51 EUR each. 07:30 - Arrival at CDG. Take the RER B train to the city and the Paris Metro to the hotel. 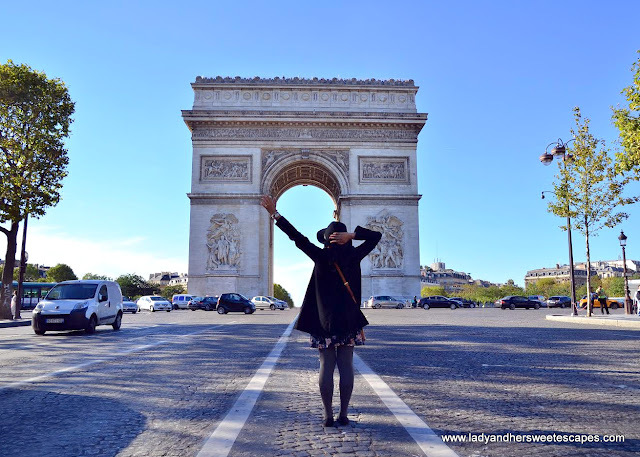 Day 3: Islands in the Seine and more! Day 5: Au revoir, Paris! Planning to go? Read about our Schengen Visa Application in Dubai. Traveling with your special someone? Here are 10 romantic things to do in Paris. Here are more tips on how to save time and money in Paris. So true, Mav! We can always find ways to do more and spend less! Expense is there if you don't contact the good travel agent. There is Paris disneyland trip provided by gold crest at a very affordable price.